Science fiction has captured humanity’s dreams of travelling to distant stars, colonizing new worlds, accessing new dimensions, encountering hostile aliens, and surviving a galaxy far, far away. Yet with all our real-world technological prowess, why haven’t any of these dreams become reality? The short answer is that flying into space is really difficult. 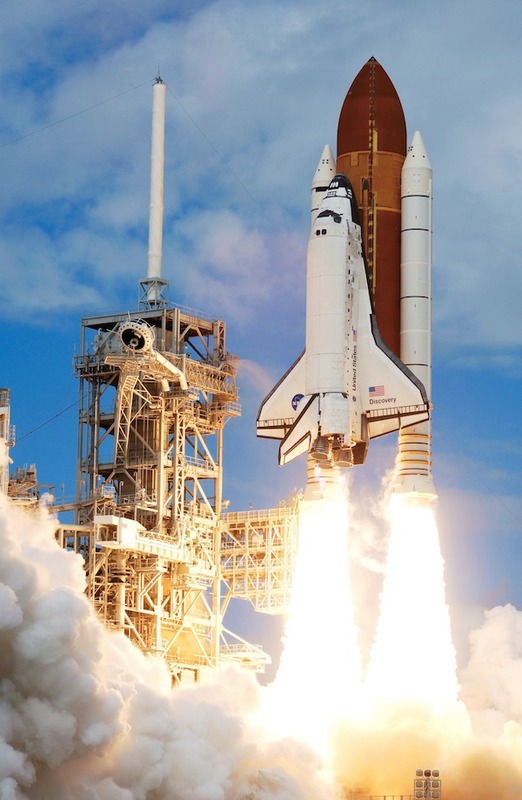 The first human space flight took decades of research, money, technological development, and trial and error, a big part of which came from German rocket development during World War II. In fact, the most difficult part of everyspace flight is leaving the Earth. Once you’re in space, it gets a lot easier to move around. Have you ever noticed that rockets don’t launch directly upward? If they did, they would definitely reach space, but then they’d fall right back down, never actually circling the Earth. For this reason, most rockets start tilting only a few seconds after they clear the launchpad so they can get enough horizontal speed to fall aroundthe Earth. This is what an orbit is—an object falling toward the Earth, but moving so quickly horizontally that it avoids a collision and keeps falling. SpaceX launch of EchoStar XXIII Satellite on March 16th, 2017. Credit:“Echostar XXIII Launch” by “Official SpaceX Photos,” CCO 1.0 Universal. Escaping Earth’s gravity isn’t even the hardest part of getting into orbit. The real challenge is escaping its atmosphere. Planes may use the air to fly, but for a rocket trying to orbit Earth, the atmosphere is a drag…literally. Atmospheric drag increases with speed, so as a rocket goes faster it needs more and more energy to overcome air resistance on its way to space. The good thing is that the atmosphere gets thinner as the rocket flies higher, meaning less drag. Once the rocket gets to a speed of 28,000 km/h and flies above the atmosphere, about 100 km above sea level, it is in orbit, and can theoretically continue on its path around the planet forever. There’s no more air resistance, but there’s a new problem—there isn’t much fuel left. On the launch pad, rockets are tall, heavy, and powerful. By the time they have reached space, they’ve shed 80–95% of their size and weight as fuel is burned and empty fuel cells are dropped. A good example is the Space Shuttle. It was big and heavy, and it needed two boosters and a big rocket, containing 20 times its weight in fuel, just to get it into orbit around the Earth. With only a fraction of its fuel left, how can a spacecraft go anywhere? The answer is that the typical rules of the road don’t apply in space, and motion is governed by a field of physics known as Orbital Mechanics. With orbital mechanics, fuel doesn’t work the same way it does in a car on the ground. When we drive a car, we know how much fuel we have and roughly how far that fuel can take us. But in space, as a rocket burns fuel, it gets lighter, which allows it to do more with the fuel that remains. 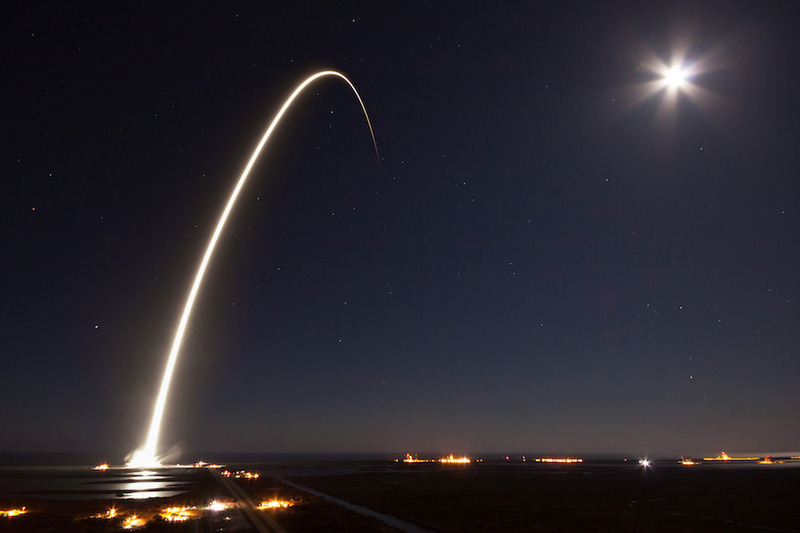 For this reason, most rocket scientists use a concept called ‘delta-v,’ which quantifies the ability of a rocket to change its speed, and in turn, its orbit. Delta-v in space works similarly to gas in a car here on Earth—you can use it until it’s gone, and then you can’t do anything else. To get the most out of the delta-v, rockets need to be as efficient as possible, and this means only firing for short periods at key moments. Most of the time a spacecraft spends travelling through the solar system is spent waiting for those key moments, which can be years apart. At the right time, they can expend some delta-v, change their trajectory, and align their orbit with the destination. With so much down time, spaceflight isn’t as exciting as we tend to imagine, and for most casual observers, the exciting part of a spaceflight is over ten minutes after launch. However, there is one exciting way that spacecraft have been living up to science fiction. It’s called a gravity assist, and it involves sending a spacecraft close to a planet or moon and using the pull of its gravity to slingshot the craft toward its destination. By aiming just behind a planet as it orbits the Sun, the spacecraft is pulled along with it, transferring a tiny bit of momentum and giving a big boost to the spacecraft. If done correctly it preserves fuel by using the natural environment. Or it can completely ruin a mission if there is the slightest mistake. The amazing thing is that gravity assists are common maneuvers in spaceflight, and can easily be used for speeding up or slowing down a space vehicle. 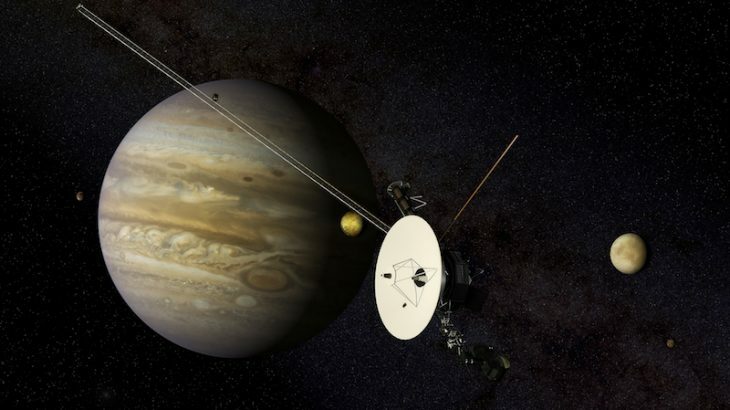 The Voyager I spacecraft used a chance alignment of the outer planets to pass by Jupiter and Saturn in the 1980s, using their gravity to send it hurtling toward the stars. The Parker Solar Probe, launched in 2018 with the goal of reaching the Sun’s atmosphere, will use the planet Venus to slow it down so it can reach its target. A gravity assist is also the best time to fire rockets and use delta-v, much like a cyclist riding up and down hills. If the cyclist pedals hard at the bottom of a hill, when moving fastest, they’ll get a bigger boost up the next hill. If a spacecraft uses delta-v when moving at its fastest, close to a planet, it will have a lot more speed as it flies away. This is known as the Oberth Effect. For human beings who dream of travelling to distant planets, gravity assists will be vitally important. Rocket fuel is expensive, and getting vast amounts of it into space is challenging. Even if interplanetary spacecraft can refuel once they reach Earth orbit, gravity assists will be necessary to keep costs down. So it seems that human ingenuity is already taking some of those science fiction dreams and making them a reality. Physics and Astronomy, Technology & Engineering astronomy, engineering, physics, Ryan Marciniak. permalink.